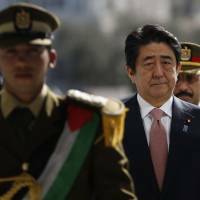 The seizure of two Japanese nationals by the Islamic State militant group is raising questions about Japan’s Middle East policies and the effectiveness of Prime Minister Shinzo Abe’s brand of personal diplomacy. Also in the spotlight is whether it can walk a fine line between supporting the United States while convincing the Arab world that it remains an important friend who can serve as an honest and independent broker in the international arena. 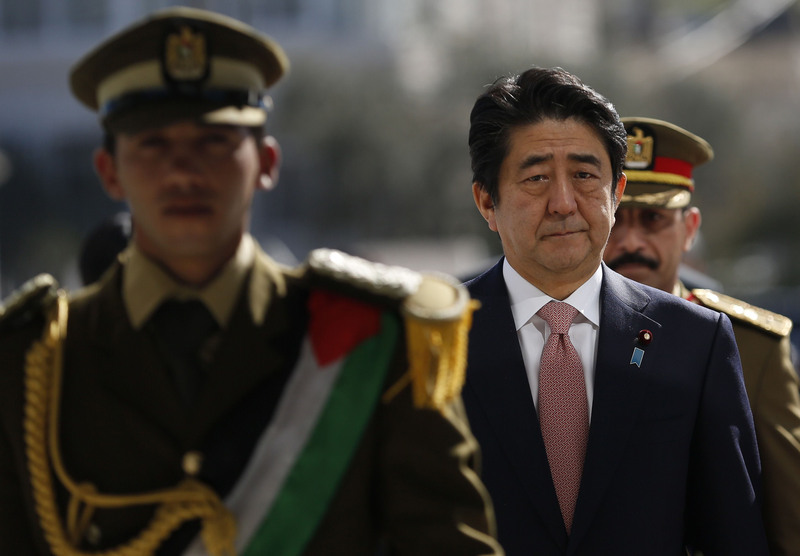 The Middle East’s importance to Japan starts with energy relations. The Agency of Natural Resources and Energy’s 2014 white paper notes that in the 2012 fiscal year, more than 80 percent of Japan’s crude oil was imported from seven Middle Eastern countries. Saudi Arabia and the United Arab Emirates accounted for over half of this amount. Also that year, four Middle Eastern countries provided 28.6 percent of Japan’s natural gas imports. In return, Japan has made the Middle East and North Africa a destination of much overseas development assistance, sending nearly $1.5 billion to the region in 2012, although one country, Afghanistan, received about $874 million. The remainder went to another 13 countries. Published last September, the book examines Japan’s relationship with America and the Middle East since the Sept. 11, 2001, terrorist attacks. “As a country which had no postwar military involvement in the (Middle East) region and has often contributed financial aid for development and humanitarian purposes, and also as a non-Western, technologically modern and successful country, the Japanese are still broadly liked in the Islamic countries,” Penn said. Since returning to power in December 2012, Abe has been Japan’s Middle Eastern “salesman in chief” for the nuclear power and energy industries, traveling around the region on numerous occasions, pushing Japanese nuclear technology, offering humanitarian and other forms of assistance, and promising to stand with countries that fight against terrorism, especially the kind practiced by the Islamic State group. At the same time, however, developments in energy and Japan’s domestic policies have created new challenges for traditional diplomatic efforts. The price of oil has been dropping, and the shale gas revolution has created new supplies of oil, especially in the United States, and offers the chance for Japan to reduce its reliance on the Middle East for oil and natural gas. But that worries some experts, who urge Tokyo to make sure the U.S. doesn’t use the shale gas boom as a pretext for reducing its presence in the Middle East. “The shale gas revolution may move public attention and interest away from Middle Eastern geopolitical dynamics, possibly undermining U.S. commitment to the Middle East. Japan’s strategic priority is to prevent the retreat of the U.S. from the Middle East,” Nobumasa Akiyama, a professor at Hitotsubashi University and senior fellow at the Japan Institute of International Affairs, wrote on the website of the Association of Japanese Institutes of Strategic Studies in March 2014. The other challenge for Japan is not inflaming public opinion in the Middle East over the lifting of its ban on arms exports, which can end up being used against civilian populations. In December 2013, the Abe Cabinet adopted a new National Security Strategy that opened the way for Japanese arms exports. Four months later, it adopted more specific arms export principles. A Kyodo News survey published the previous month showed that 66 percent of respondents opposed the relaxation of arms exports. In July, Japan’s National Security Council approved a deal involving Mitsubishi Heavy Industries supplying high-performance sensors for the PAC-2 surface-to-air missiles to America’s Raytheon. Those missiles will be sold to Qatar. Regardless of the outcome of the hostage situation, most experts believe that Japan will continue to follow Washington’s lead on Middle Eastern policy. But even though Japanese leaders have gone out of their way to emphasize that the recently announced $200 million aid to the region is for humanitarian, nonmilitary purposes, differences over the very definition of terrorism and its use by Abe are causing problems. “Immediately preceding the hostage crisis, Abe went to a military dictatorship that had just crushed a popular democratic movement — Egypt — and pledged his support to help them combat ‘terrorism,’ ” Penn said.